MACOMB –Assistant House Minority Leader Norine Hammond (R-Macomb) was appointed by House Republican Leader Jim Durkin to serve on the bipartisan task force on sexual discrimination and harassment this week. “As both a member of the Legislative Ethics Commission and now this task force, I believe this is an issue we must address. All persons must be respected in the workplace and our state government should strongly lead by example in this regard and end the culture that has brought about this unacceptable behavior,” said Rep. Hammond. 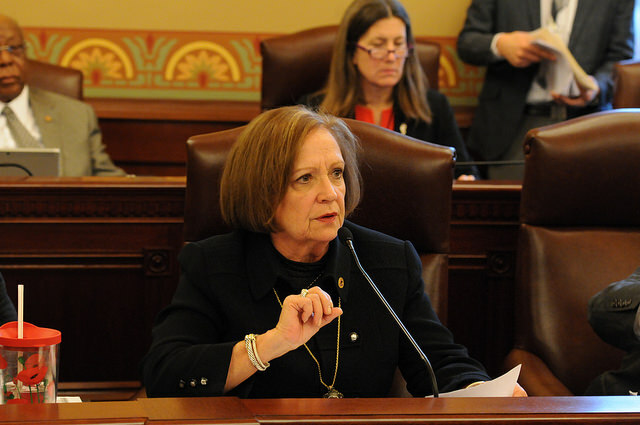 The task force, approved recently with passage of House Resolution 687, requires a comprehensive review of the legal and social consequences of sexual discrimination and harassment in both the public and private sectors in Illinois. The group will make recommendations to the General Assembly to stiffen state laws and policies preventing and punishing this behavior when it occurs. “There is no place for sexual discrimination and harassment in workplaces in Illinois. No matter the perpetrator, this behavior should be exposed and condemned when it occurs,” said Rep. Hammond.